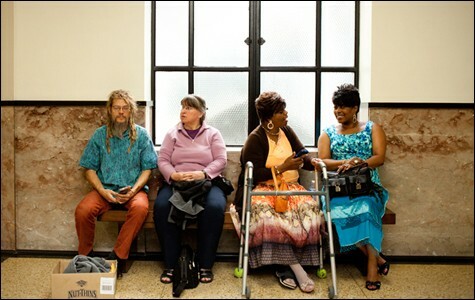 Litigants wait for their turn in court on a recent Friday in Oakland. Felipa Martinez is a petite woman to begin with, but standing beneath the dais in Contra Costa Superior Court she looked even tinier. Martinez had arrived with her adult daughter in tow, partly for visual assistance (a degenerative eye condition has left her unable to take the bus by herself), partly for translation (she speaks just enough English to get by), and partly for emotional support. The daughter grasped Martinez' shoulder while Judge Steven K. Austin rifled through a stack of old bank statements and receipts. A stylish, high-heeled attorney sat at the plaintiff's stand, prepared to wrangle every cent of the $1,000 debt that Martinez owed Chase Bank a few years ago, which had gone into collections and ballooned to $2,100. Martinez stared at the judge as a tear pooled in the corner of her eye. She knew the deck was stacked against her. Martinez' case was one of roughly a dozen that Austin would hear on a recent Monday morning, many bearing similar narrative contours: Martinez had lost her job as a dental assistant five years ago. She began racking up credit card bills from Washington Mutual, and saw a precipitous rise in her lender's interest rate after Washington Mutual was acquired by Chase. Around the same time, she started experiencing health problems: first colon cancer, which she managed to stave off, then the eye problem, then a series of expensive root canals. She lost her health insurance, then her home in Antioch, and had to move in with her daughter in Union City. (They later resettled in Stockton.) 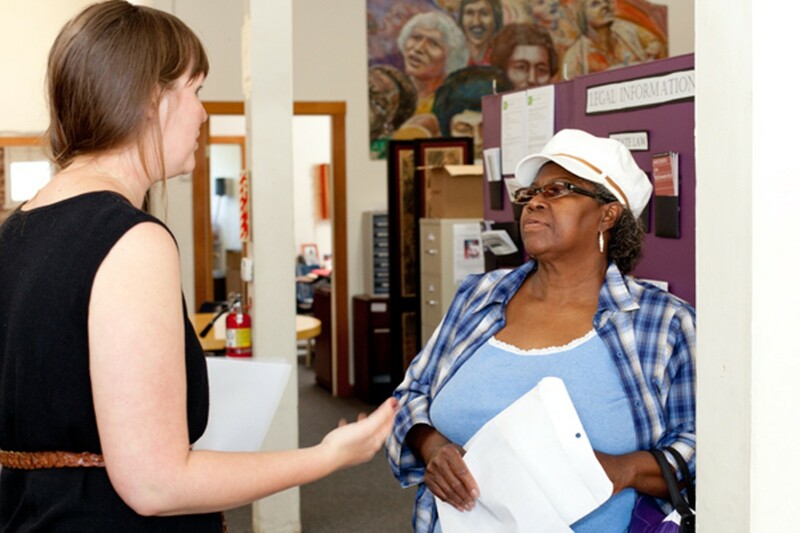 She lost her ability to pay for small things like new clothes and cross-county BART rides. The $12 round-trip fare to visit a free law clinic at the Concord Library was suddenly a major hardship. Martinez is just one of many people who stream through Austin's courtroom each day without a lawyer to represent them because they can't afford one. And these self-representing litigants — called propria persona, or pro per, in the legal world — typically find themselves at a severe disadvantage. That Monday, Austin fielded another debt collection case with a defendant who telephoned in from her home in San Diego, not sure how to change the hearing venue or even respond to papers after she'd been served. He scheduled a non-jury trial for a hospital administrative manager who arrived in scrubs, asking him to forgive the several-thousand-dollar debt she owed Citibank — the bank had demanded $279 monthly late fees for a year and a half after she'd closed the account, tacking an additional $3,000 onto a $1,582 principal. Austin sees people who have drained their bank accounts on payday loans, seen their mortgages go under water, gotten hoodwinked by a subprime lender or swindled by a family member, lost their jobs, lost their health insurance, watched their marriages disintegrate. "I see a lot of people in this same situation," Austin said to Martinez, deploying a phrase he used repeatedly throughout the day, in the empathic tone of a parent pouring rubbing alcohol on a wound. "Have you considered filing for bankruptcy?" The steady uptick in pro per litigation has long bedeviled California courts. In 2007, the Administrative Office of the Courts reported to the state legislature that there had been a "dramatic increase" from the 4.3 million defendants who represented themselves in 2004. And according to interviews with judges, lawyers, and court officials for this story, the situation has gotten much worse during the economic downturn. Austin said in an interview that while he's always seen people represent themselves in small claims, traffic, and family law cases, he's also observed a startling avalanche of pro per in the civil realm, with more people fighting off debt collections and foreclosures. He ascribes the trend partly to the Internet — some defendants look up "debt collection" on eHow.com, and feel that they can go without the expense of hiring a lawyer — but says it's mostly a result of the bad economy: More and more people are finding themselves in desperate situations. And because their cases are in civil court — not criminal — the government has no obligation to provide these defendants with an attorney if they cannot afford one. Pro per litigants also are flooding the courts at a time when the state and federal governments have fewer resources to help them. 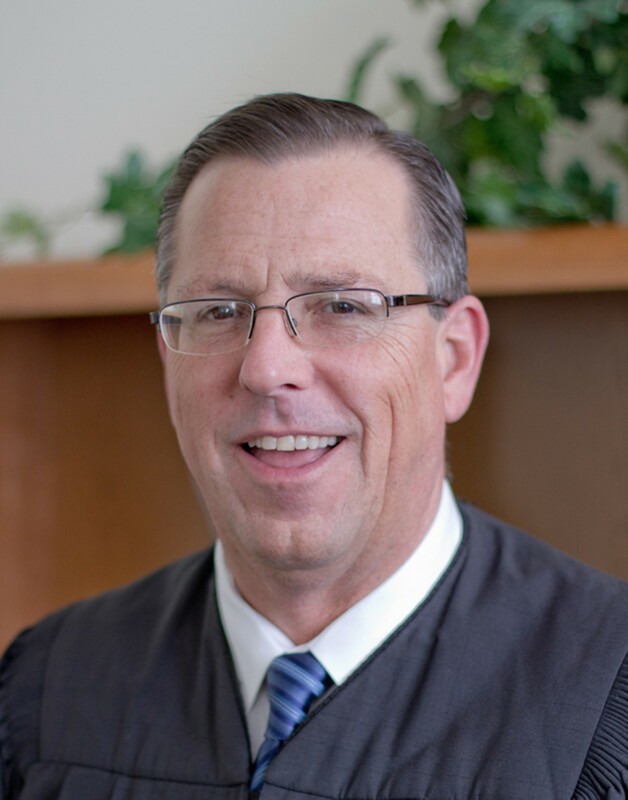 A spate of budget cuts has left the courts with fewer judges, fewer commissioners, mandatory furlough days, and dwindling coffers, all of which reverberates throughout the system — and makes it even tougher for pro per litigants who need legal assistance. 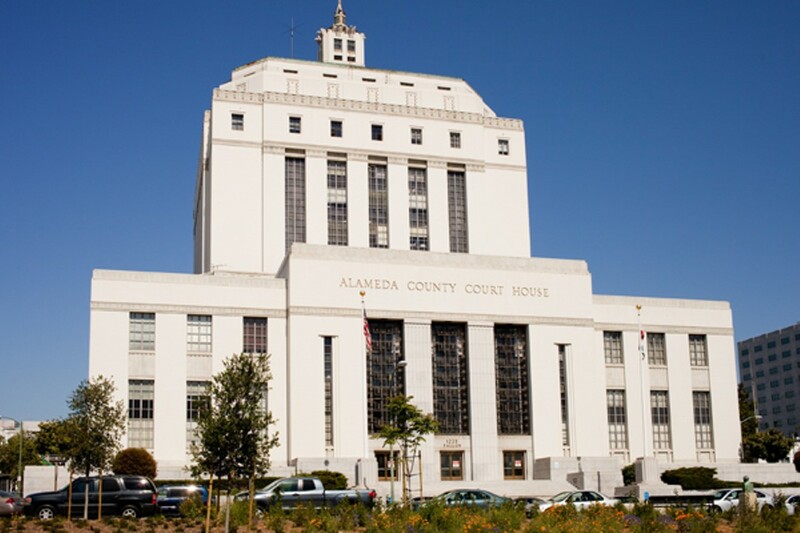 Contra Costa County, for example, has eliminated commissioner positions in five of its departments, shuttered a courthouse in Concord, and deputized volunteer lawyers to adjudicate small claims cases. It's laid off some of the clerks who traditionally helped pro per litigants get their papers in order, and reduced hours so that clerks' offices now close at 1 p.m. every day. The line for help is so long, Austin said, that some people wait for an hour and a half and don't make it to the window — or get there and find out they have the wrong papers, and are told to come back another day. 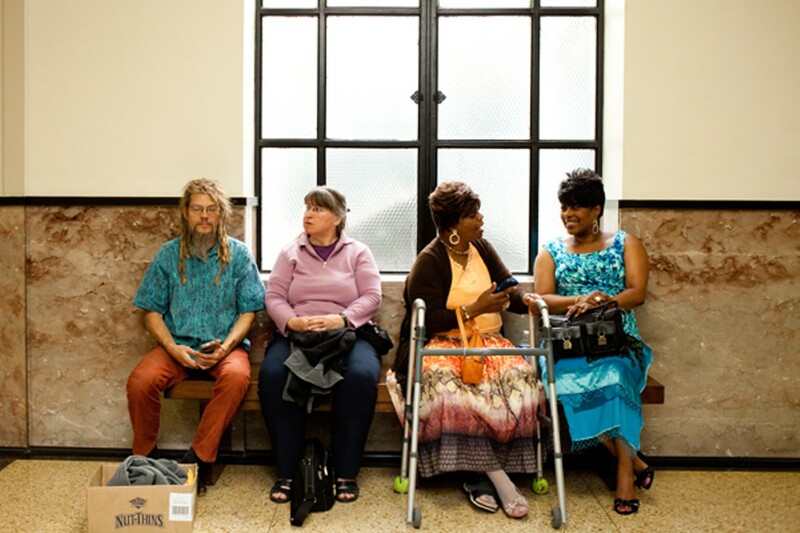 California's civil court system, in short, has turned into a debtor's purgatory. "Most people who come in here make $18 an hour, tops, and lawyers charge $250 an hour," said Phil Rapier, a tenant lawyer in Oakland. "Nobody can afford that."